Game description: The latest installment in the Atelier saga features new characters and story elements. You'll play Kleing Kiesling, a young alchemist on a mission to unlock the secrets of alchemy. With the help of Mana, you can collect and customize a variety of weapons and items. 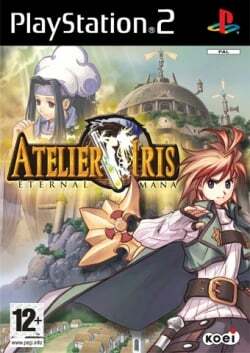 Atelier Iris: Eternal Mana is the prequel to Atelier Iris 2: The Azoth of Destiny and the first game in the Atelier Iris trilogy. This page was last edited on 16 April 2019, at 05:49.